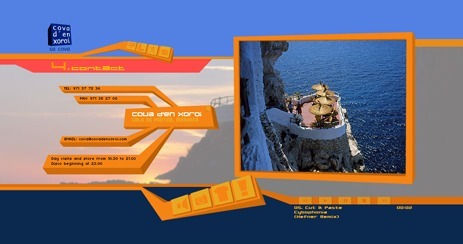 In 2002 - 2003 I created this database driven Flash website for a beautiful club in Menorca, Spain. 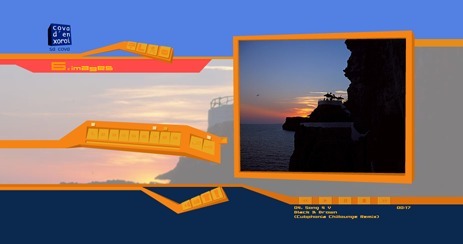 The PHP back office allowed editing all texts in three languages, images, music tracks and featured an on-line shop which connected directly to the banking platform for VISA / Mastercard payment. The back office was able to export Excel files with sales information. I enjoyed creating the code that adds a 3D frame to the image on the right. This was needed because the images can be of different sizes, so the frame must adapt accordingly. I also really liked how the on-line shop worked: when you clicked on “buy product”, an animation made it perfectly clear that the product “flew” into the shopping cart on the right side, updating the total price. 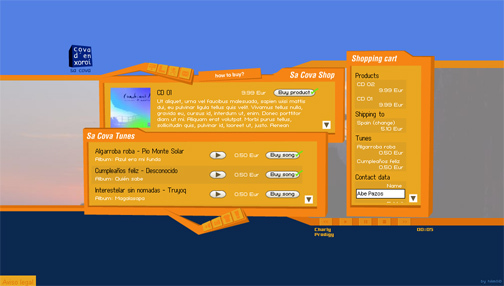 It was an interactive “one screen” shop, where you chose the products, entered your data and shipping type, and clicked proceed to the bank web page. I think it was one of the easiest on-line shops to use.